Pattern: Acid Cloudy Clear, Acid Direct Clear, Clear, Cloudy, Crystal, Parallel, Cycle Rhombus, Diamond, Diagonal, Boubie Star, Frost Bisfar, lce Shadow, Lattice, Mushy, Meteor, Mist, Mosaic, Oblique Line, Parallel, Rain, Rhombus, Seawave, Water Bubble, Well Shape, the surface is also could be made into cloud and mist. 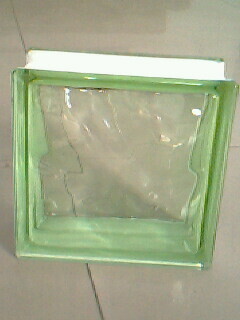 Glass brick, also known as glass block, is an architectural element made from glass. 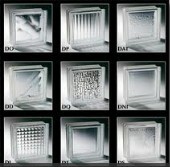 Glass bricks provide visual obscuration while admitting light. The glass block was originally developed in the early 1900s to provide natural light in manufacturing plants. 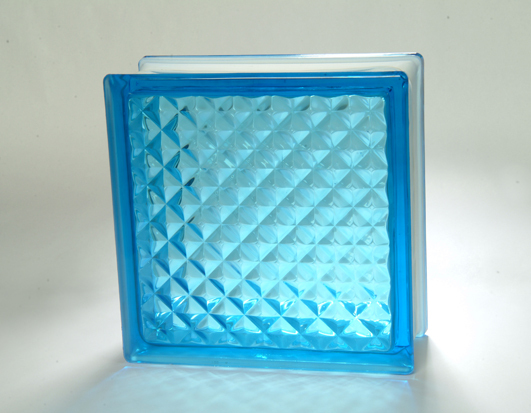 Glass bricks are produced for both wall and floor applications. 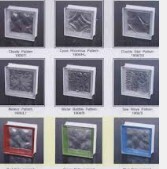 Glass blocks for use in floors are normally manufactured as a single solid piece, or as a hollow glass block with thicker side walls than the standard wall blocks. These blocks are normally cast into a reinforced concrete gridwork or set into a metal frame, allowing multiple units to be combined to span over openings in basements and roofs. Glass wall blocks should not be used in flooring applications. 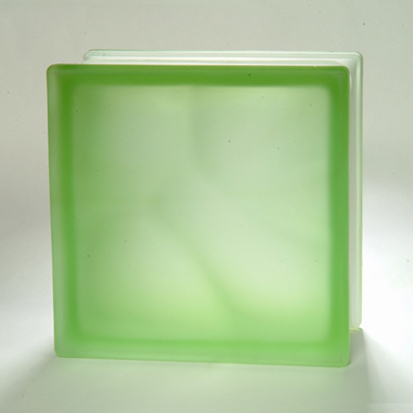 Hollow glass wall blocks are manufactured as two separate hemispheres and, whilst the glass is still molten, the two hemispheres are pressed together and annealed. 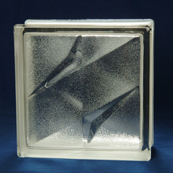 The resulting glass blocks will have a partial vacuum at the hollow centre.